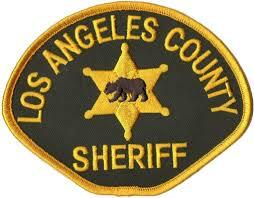 The City of Carson is patrolled by the Los Angeles County Sheriff’s Department deputies. When an individual has been arrested in Carson, he or she will be taken to the Carson Station Jail to undergo the booking and processing procedure. Depending on how busy the jail is, it can take anywhere from 2-6 hours to complete the process, which includes having fingerprints and photographs taken and a national background check is conducted. Provided there are no issues that would preclude release, bail will be set and an inmate will be eligible to be released via bail bond, or possibly one of the other options for release. The Carson Station Jail isn’t very large, and inmates who do not receive a bail bond are likely to be transferred to one of the larger downtown Los Angeles jails like Twin Towers Correctional Facility (if the inmate is male) or the Lynwood Jail (if the inmate is female). The jails in downtown Los Angeles are some of the largest, busiest jails in the world. As a result, when inmates are transferred there it will likely add an additional 24 hours to their time in custody as they must wait to be “processed in” to the new facility. It is possible to avoid this transfer, though, if the bail bond process is begun quickly enough. It all begins by calling us and speaking directly with a knowledgeable, licensed bail bondsman. We have staff situated in the South Bay, minutes from the Carson Station Jail who can quickly answer any and all of your questions. Once we have the name, birth date and date and time of arrest of the defendant, we can locate him or her within the system and verify their location and eligibility for bail. Once this has been completed, it will be time for you to fill out the short, simple bail bond application forms and indemnitor agreement. Once the t’s are crossed and i’s are dotted, we will dispatch one of our local agents to the jail and your friend or loved one will be released a few hours later. Even though the bail bond process is pretty quick and easy, it always takes a little extra time for an inmate to be released from custody. After all, they’re “processed in” to the jail, and they’re going to need to be “processed out” as well. In the spirit of getting the bail bond process begun quickly, as well as for your personal convenience, our bail agents can meet you anywhere you’re most comfortable, as well as get the process completed from start to finish via phone, fax or email. If you have additional questions about Carson Jail bail bonds, and would like to speak with a bail bondsman right now, please feel free to give us a call. We are available 24/7, weekends and all holidays. Let the expertise of our professionals help you through this difficult time. We can be reached locally at 310-782-BAIL (2245) or toll-free at 855-414-BAIL (2245).